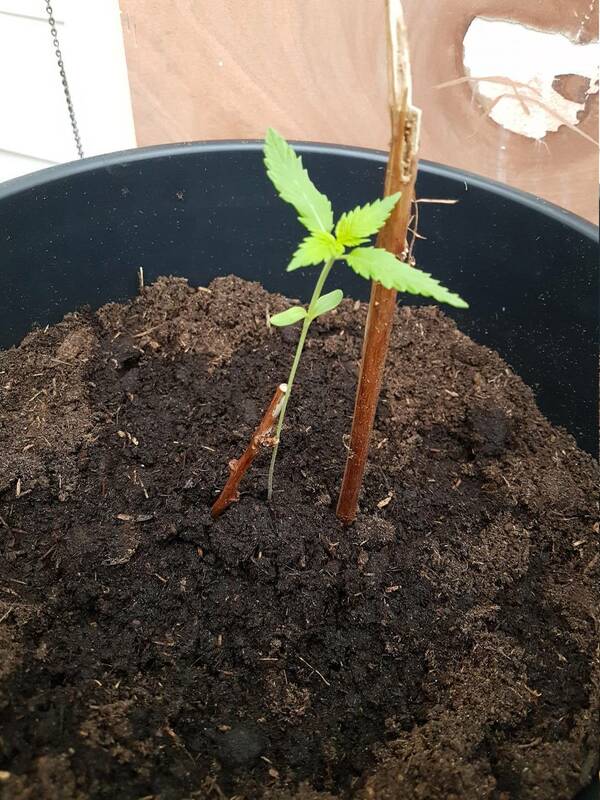 Hey there, welcome to my grow log, this is the first time i ever grow weed, super excited about it! so thought id share this experience and information with you all and hopefully be looking at some sweet buds soon! 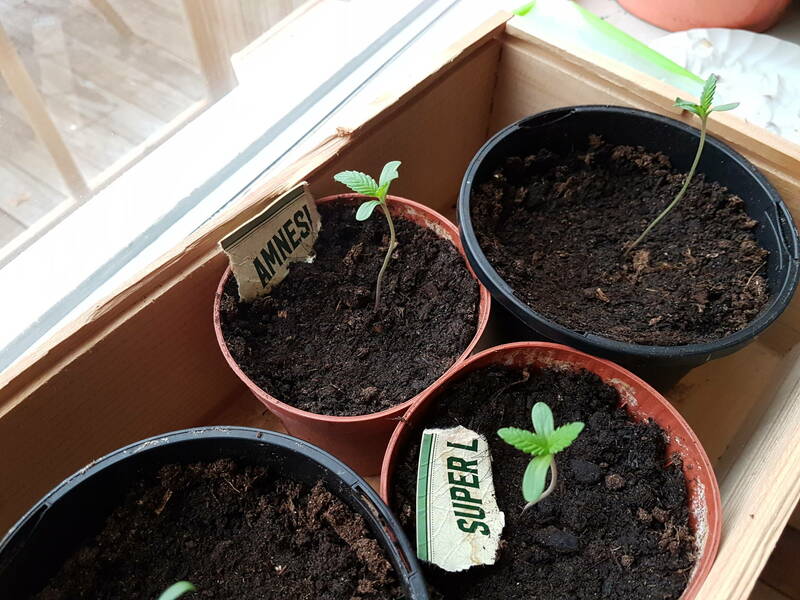 2 weeks from today I germinated my first seeds ever, so far they seem to be doing great, im growing them outdoors by the way. 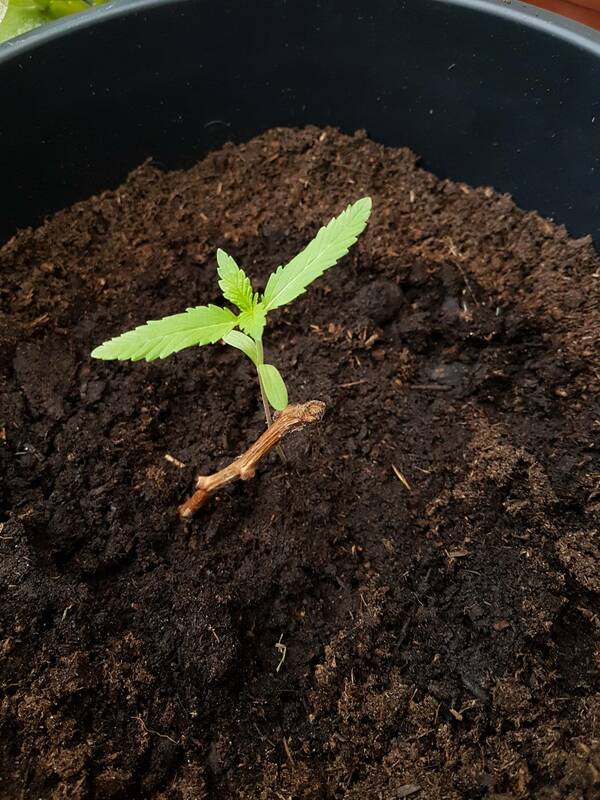 Growing means: Im trying to keep it as natural as possible, so all im using is clean bio soil, fresh rain water when possible (I use an old school pump to contain rain water in for the garden) or tap water, and as much sunlight as possible. 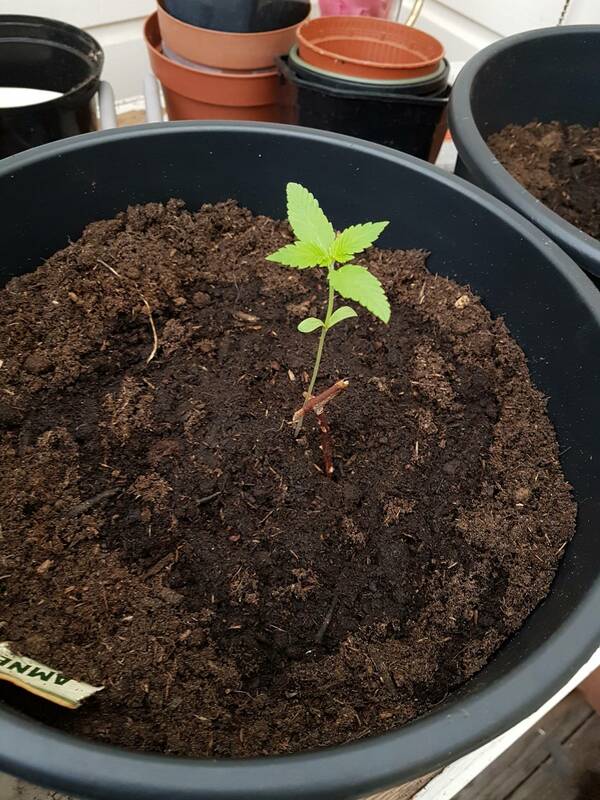 so far since i started germinating them weve been blessed with good weather and enough sun for these little babies. I live in holland so you cant always count on a sunny day, though at night im keeping them inside for more warmth. 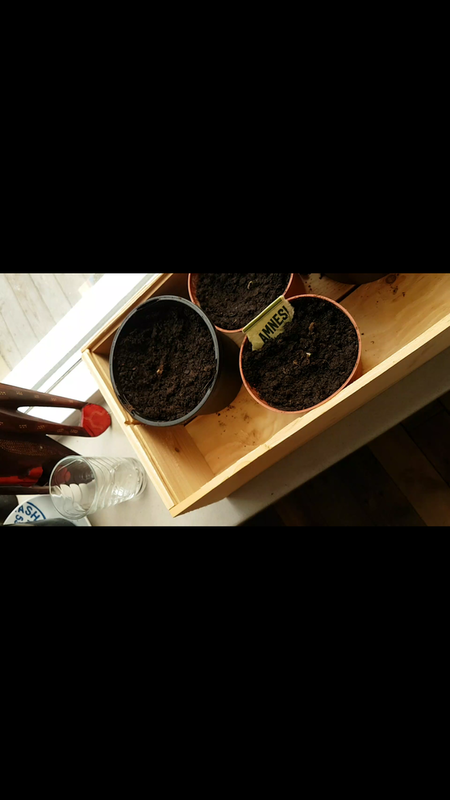 its maybe a long shot to try and grow at this time of year but i thought id give it a try and harvest something before the weather is too harsh to grow outdoors in a few months. My plants have been showing great progress in growth, but I do have one concern so far, the leaves of the plant seem smaller than what a 2 week plant would usually look like, they are growing in length but with a pretty thin stem almost to the point where they can barely handle their own weight, but the leaves are staying small.. Ive put support sticks for the 3 of them now until they can grow abit stronger (you can see them in the picture) any idea what that could possibly be? 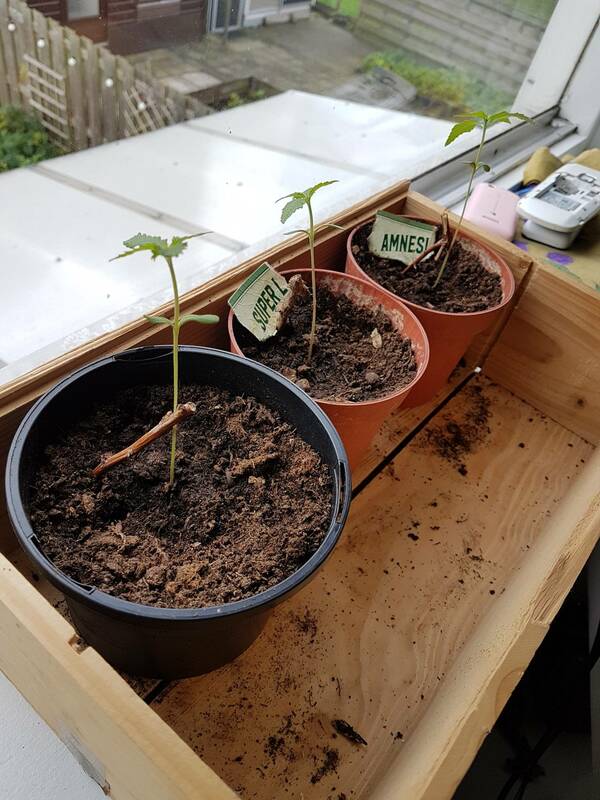 Today I just transplanted them into 12L pots!I already heard that autoflowering plants dont cope too well with transplanting so im concerned about the super lemon haze because i think i damaged the root while moving it, to the other pot, hoping it survives though .. The first 3 pictures is from first stage germinating till maybe a week old. the other 3 pictures are from just a few minutes ago, i cant help but feel something is a little off about their leaf growth but they do look healthy! They don't appear to be getting enough light. They need nearly as much light as a regular flowering strain for about the first month or so. I would be adding some artificial light and putting it on a timer. Just my opinion on first sight. More learned members may have better insight. I believe so too, was wondering if it's healthy for the plants to get mix artificial and natural light? Maybe when the sun is coming down switch it to bulbs? If so which lights would you recommend? 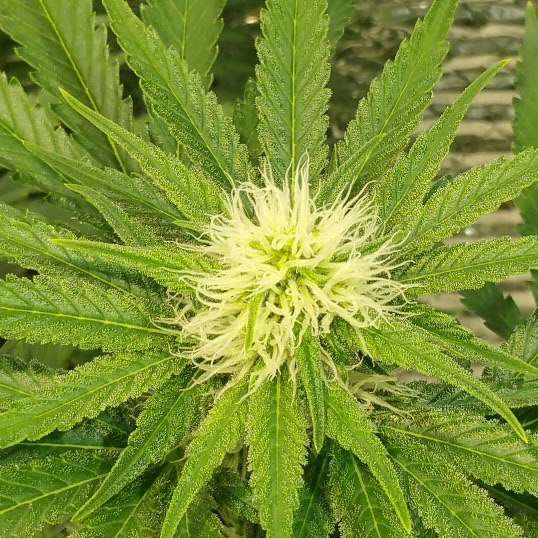 And will I need to change the types of light from growing to flowering even if they are autoflowering? Cheap big box screw in led bulbs just pop the plastic covers off and wire up some sockets. Box of 8 for 12 bucks, that's about 6.6 watts per $1 . 1,090 topic views. 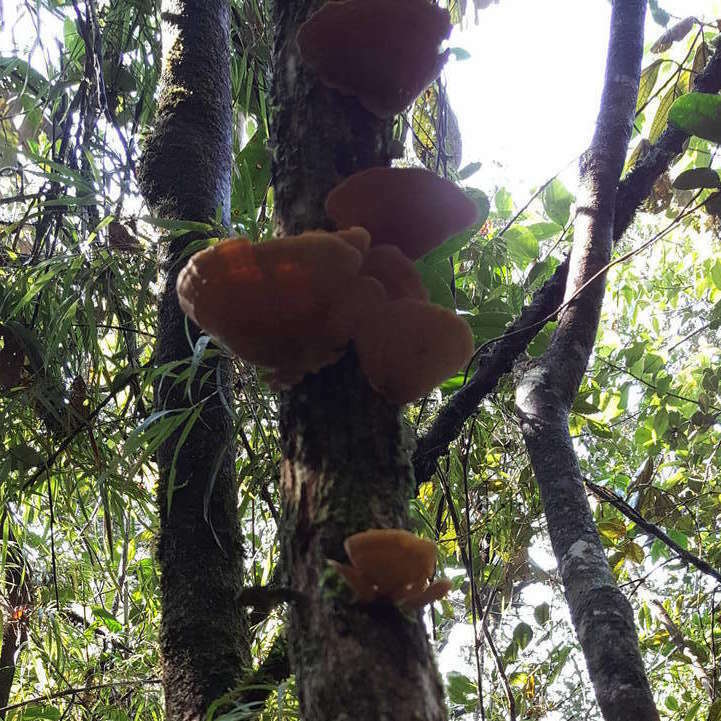 0 members, 21 guests and 30 web crawlers are browsing this forum.